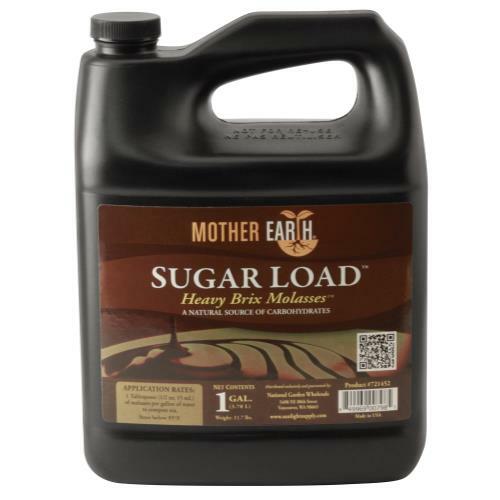 Mother Earth® Sugar Load® Heavy Brix Molasses® is a rich source of carbohydrates. It is also a good food source for beneficial microorganisms, making it excellent for the use in compost tea stimulation. 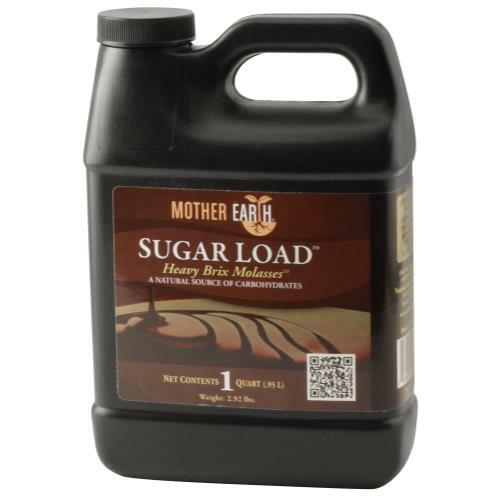 High attention to balance between concentration and flowability makes Sugar Load® very easy to use. Molasses is a complex form of simple carbohydrates intended to raise the metabolism of a plant to consume more food as well as feed the microbe heard in the root zone. This product is not recommended for hydroponics, and should only be used in soil, soil-less, or coco based container gardens. Recommended Usage: 1tsp – 1TBSP per gallon of water. *Molasses works great at microbe food in a compost tea.